GGD _ Jiangsu Zheng Wei Electric Power Equipment Co., Ltd.
GGD ac low-voltage distribution cabinet is suitable for power plants, substations, industrial enterprises and other power users of ac 50 hz, rated voltage 380 v, rated current 3150 a power distribution system, as power, lighting and electricity transformation and distribution and control of power distribution unit. 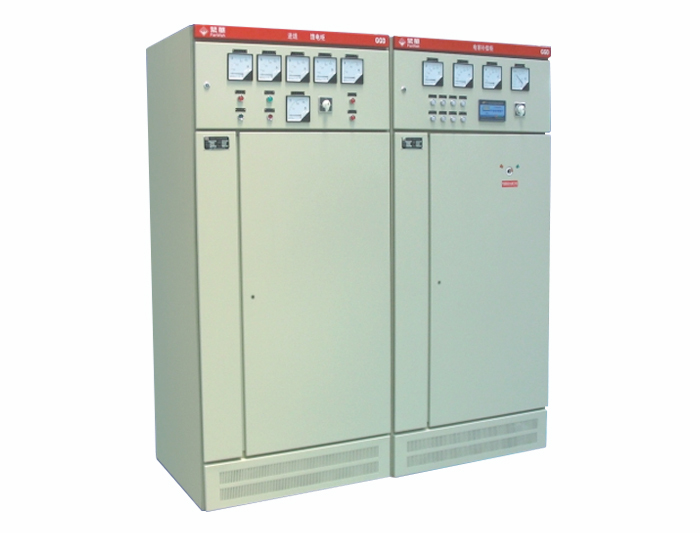 GGD ac low voltage distribution cabinet is a new low voltage distribution cabinet designed according to the principles of safety, economy, rationality and reliability. The product has the characteristics of high breaking ability, good dynamic and thermal stability, flexible electrical scheme, convenient combination, series and practicability, novel structure and high protection grade. It can be used as a replacement of low-voltage switchgear. GGD ac low-voltage switchgear meets the standards of IEC439 low-voltage switchgear and control equipment and GB7251 low-voltage switchgear. 3, the surrounding air relative humidity when the highest temperature is + 40 ℃ not more than 50%, at low temperature are allowed a larger relative humidity (such as + 20 ℃ at 90%) should be considered due to the change in temperature may accidentally setting fog effect. 5. The equipment shall be installed where there is no severe vibration and impact, and where there is insufficient corrosion of electrical components. 6. Users may negotiate with the manufacturer when they have special requirements. Type 1, GGD ac low voltage power distribution ark cabinet put oneself in another's position to the general tank to form, the architecture with 8 mf bureau of cold bending steel welded assembled, frame parts and special parts by the designated factory supporting delivery, to ensure that the cabinet put oneself in another's position accuracy and quality. The parts and components of the general cabinet are designed according to the module principle, and the installation hole of 20 modules has high universal coefficient. The factory can be pre-produced. It not only shortens the manufacturing cycle, but also improves the working efficiency. Hole, after when electrical components contained in heating, heating up, through the top slot, and cold wind constantly by the bottom slot added into the ark, make cabinet put oneself in another's position from bottom to top sealing land from a natural ventilation, achieve the cooling purposes. 3. According to the requirements of modeling and design of modern industrial products, the cabinet body shape and the division size of each part are designed by the method of golden section ratio, so as to make the whole beautiful, generous and new in appearance. 4. The door shall be connected with the frame and installed with swivel hinge. Easy to disassemble. There is a mountain rubber strip at the hem of the door. When closing the door, there is a certain compression stroke between the door and the frame. The meter door with the electric element is connected with the frame by the soft copper wire. The installation parts in the cabinet are connected to the frame with knurled screws. The whole cabinet forms a complete grounding protection circuit. 6. Polyester orange baking paint is used for cabinet finish. Strong adhesion, good texture. The whole cabinet presents inferior light tonal, avoided glaring effect, created more comfortable visual environment for the duty staff. 7. The top cover of the cabinet body can be removed when needed, which is convenient for the assembly and adjustment of the main bus on the site. The four corners of the cabinet top are equipped with lifting rings for lifting and loading. 8. The cabinet body protection level is IP30, and users can also choose between IP20 and IP40 according to the requirements of the use environment. Copyright © 2018 All Rights Reserved ： Jiangsu Zheng Wei Electric Power Equipment Co., Ltd.